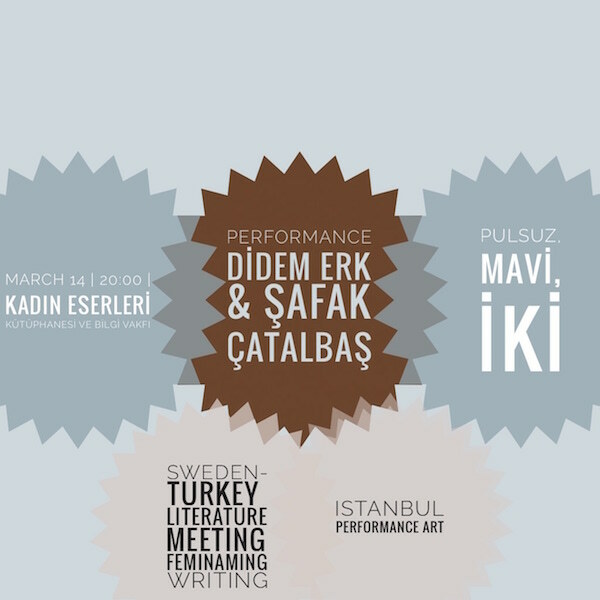 Istanbul Performance Art presents the performance of Didem Erk&Şafak Çatalbaş at Turkey-Sweden Literature Meeting (9-18 March 2018). 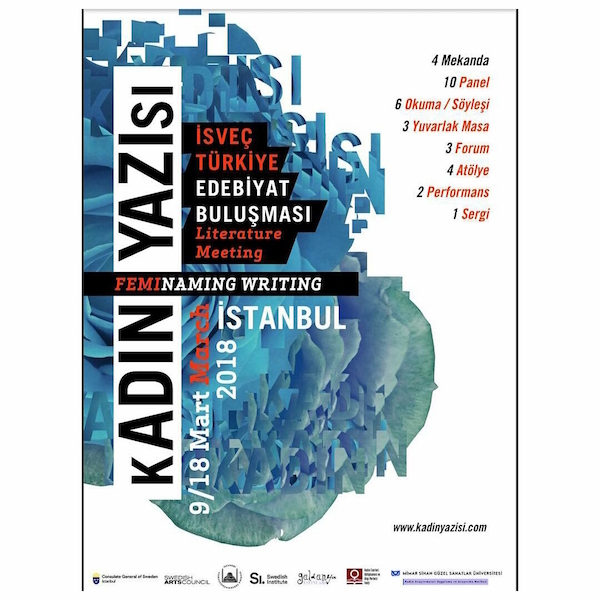 We are honoured to be a part of Turkey’s first Festival of Women’s Literature. Turkey’s first Festival of Women’s Literature takes place in collaboration with the Consulate General of Sweden, Mimar Sinan Fine Arts University Women’s Studies Research and Application Center, and the Women’s Library and Information Center Foundation. The festival to be held in 4 different venues between 9-18 March 2018 will host 10 panels, 6 readings / interviews, 3 round tables, 3 forums, 4 workshops, 2 performances and 1 exhibition, bringing together about 100 participants from Sweden and Turkey. During these 10 days, various aspects of literature and gender-related issues will be discussed, and new works will be created during workshops. Events are open to the public and free of charge. 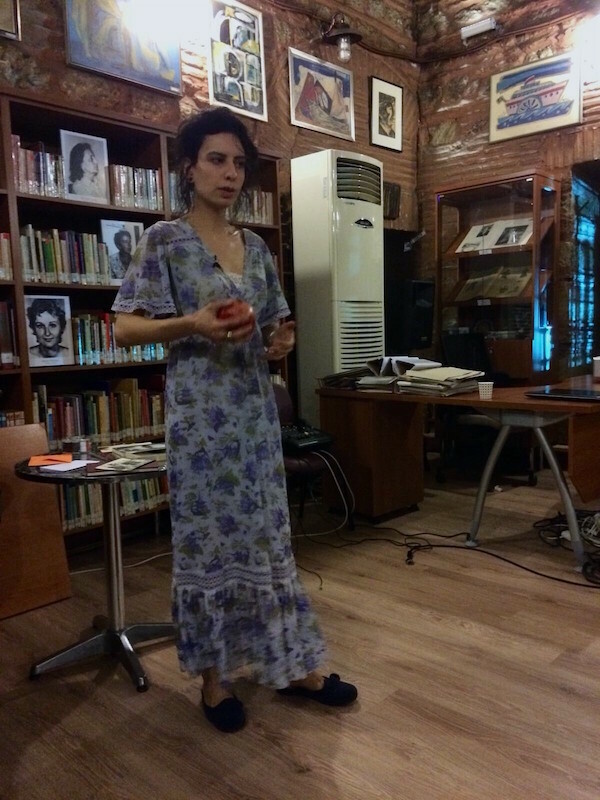 Şafak Çatalbaş – view from the performance “pulsuz, mavi, iki” (scaleless, blue, two) – Women’s Library and Information Center Foundation, 14 March 2018.